Of all of the territories that we cover on Propertastic!, Bulgaria is the one that is currently receiving the most interest from buyers in the UK. In fact only Spain and France receives more interest from UK buyers who are looking to buy a second home than Bulgaria. What should this tell you about the state of the property market in Bulgaria? I’ll give you a hint – remember that everyone was talking about the huge money to be made in dotcom techs in early 2000 just before the market crashed and burned? OK, so property is a lot safer bet than dodgy tech companies with no chance of ever making a profit, but the principle is the same – when everyone else is talking about the same opportunity, it means that the days of making some fast money are well and truly gone. It has been several years now since Bulgaria’s Black Sea Coast was first publicized as offering beachfront property at rock bottom prices. Since then, the most popular of the resorts such as Sunny Beach and Golden Sands have been turned into gigantic building sites as developers have been rushing to capitalize on the fast-growing demand for off-plan developments in the country. Like with every other opportunity, those who were in at the start made some good returns but those days are gone now. It’s time for a reality check in the form of some basic economics, particularly in the area of supply and demand. These days, there is more supply than ever, but is there really enough demand to justify all of these new units that have recently reached the market? Bulgaria is not Spain. How many people do you know that went on holiday to Bulgaria last year or are thinking of taking their summer holidays there this year? Not many, we expect. It is a lot harder to get to the Black Sea resort than it is the Costa del Sol and the season there is a lot shorter as well. So who will be the end-users for the properties there? Most people who have been buying property in the Bulgarian resorts have been doing so only because they expect fast increases in their capital, buying off-plan with the hope of selling on the property as soon as they were finished. But this is only going to work out if people are going to want to buy the finished properties, or if there is strong rental demand for them. Currently there is not so much evidence that this will be the case. And things are getting worse and worse by the month, with double the number of contruction permits issued in the first half of 2007 compared to the same period in 2006. There’s going to be a lot of empty property in Bulgaria by the time all this lot is finished. It’s the same story with Bulgaria’s other tourist hotspot, which is the winter sports opportunity at Bansko. It’s the same situation here – too much supply and not enough demand. The net result is that Bansko was the only location in Eastern Europe apart from Budapest where property prices actually went down in the last quarter of 2006, probably as a result of the city not making it as a finalist for hosting the 2014 Winter Olympics, an event that developers had been making quite a lot of fuss about. The truth is that Bansko just doesn’t really cut it as a world class winter sports center – because of the flight times from Western Europe to Sofia, and then a journey of several hours from Sofia to Bansko, the location just isn’t going to work as a ‘long weekend’ skiing destination. Each month the news from Bansko is worse than the last. Between May and July 2007, prices fell by another 10% and 150 real estate agents in the town didn't sell a single property between them. Hearing all of this gloom and doom, you’re probably just about ready to start looking at one of the other developing markets right now. Because we are actually tipping Bulgaria as our hottest tip for a low-risk, high-return investment right now. The answer quite simply is: Sofia. Sofia’s property is significantly underpriced at the moment. EUR1500/m2 is still seriously cheap by any yardstick, even cheaper than fellow EU newbie capital, Bucharest - a lot cheaper. Prices in Bucharest have sky-rocketed since the start of 2007 and are now substantially higher than Sofia. They aren't going to stay that way forever. Compared with the building frenzy that has been going on at the coast, there has not been a huge amount of construction happening in Sofia. This is bound to change as Bulgarian developers see the market on the coast stagnating and move their attention to Sofia, but you still have chance to get in now before this happens. Strong demand for quality housing and low supply mean that rental yields are high right now. Global Property Guide gives Sofia the third highest rental yields in Europe at 10.56% with only the extremely dodgy Chisinau in Moldova and Warsaw having higher yields. Although prices are now increasing a lot faster than rental prices, which is sure to bring down the yield, they are still higher than most other cities in Eastern Europe. Because of all of the past interest in the Bulgarian coast, the infrastructure in Bulgaria for overseas buyers is well developed. If you need a bit of hand-holding, then you will easily be able to find some if you deal with experienced developers on the market. The mortgage market is similarly developed in Bulgaria. While not great by the standards of the more westerly markets, it’s not bad. If you are looking to borrow from a UK institution, this should also be fairly simple as all major UK institutions will have experience of the market. Finally, it’s the EU effect once again. With just two territories – Romania and Bulgaria – joining the EU on 1 January 2007, the effect is going to be more pronounced than when the eight new Eastern European countries joined in 2004. Already this year, there have been some big prices rises in Sofia already, with different regions of the city seeing different rates of growth. Sofia is unique in that property in the centre does not command the city's highst prices - that honour goes to the 'Doctor's Garden' region, where prices have now reached over EUR2000/m2 in places. Iztok has recently seen a boom, with prices rising by 29% in the first half of 2007 to become the second most deisreable location. In general, prices across Sofia rose by around 10-20% during the first half of the year. As impressive as these price rises are, the increases in Bucharest have been even more spectacular so far this year. To us, this says that Sofia still has some catching up to do and should prove to have 'longer legs' than Bucharest. There are also good opportunities for investment outside Sofia as well in cities such as the former capital of Veilko Tarnovo and the number two city of Plovdiv where prices are still very affordable. Other possibilities for a fast increase in capital come from such towns as Velingrad and Sandanski which are both spa towns. There are still plenty of opportunities for making good money from Bulgaria - just avoid the over-developed places which have been terribly oversold over the past few years and you should do well. Knight Frank were less bullish than us when it came to Bulgaria, predicting a rather lacklustre increase of 7.5% at the start of the year. However, Knight Frank only gives figures for the entire country, not by individual locations. As we have already discussed, growth potential for the coast and the ski resorts seems quite limited now, which will almost certainly be pulling down the average for the country as a whole. In summary though - Sofia is hot. Book your tickets now. The above contains our thoughts on the current state of the market. But, like any type of investment, there are no guarantees as prices are always influenced by a huge number of different variables. 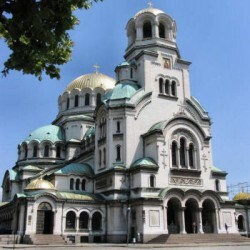 You can keep abreast of developments in the market by checking out the articles in our News section where we’ve trawled the Internet for every story connected with property in Bulgaria so you don’t have to. By checking the news reports regularly and thinking through the consequences of each piece of news, you should be able to get a good idea as to how quickly or slowly property prices in the market are going to rise in the near future. The information in this section only tells half the story, however as only a small proportion of Bulgarian property news is translated in English, which means that the locals are getting a lot more useful information than foreigners are. Investing in the wrong markets could make the difference between making tens of thousands and losing tens of thousands over the next few years. If you’re seriously considering investing in Bulgaria, then you should think of subscribing to our Premium Service so that you can get all the breaking news from the market at the same time the Bulgarians are hearing it.